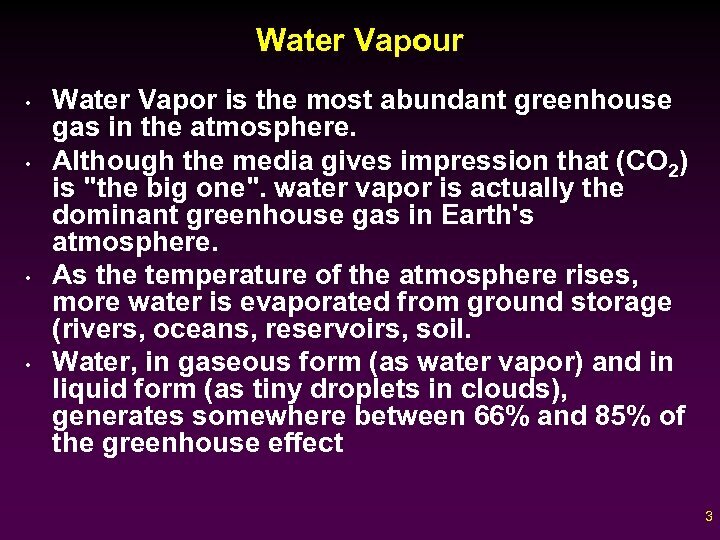 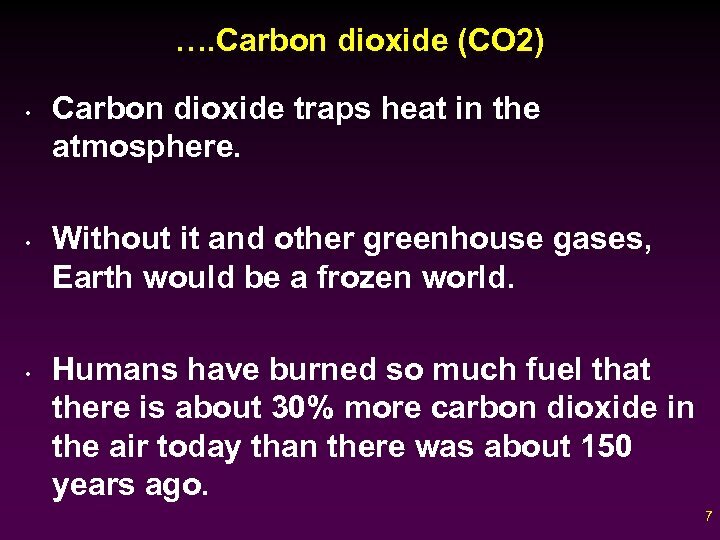 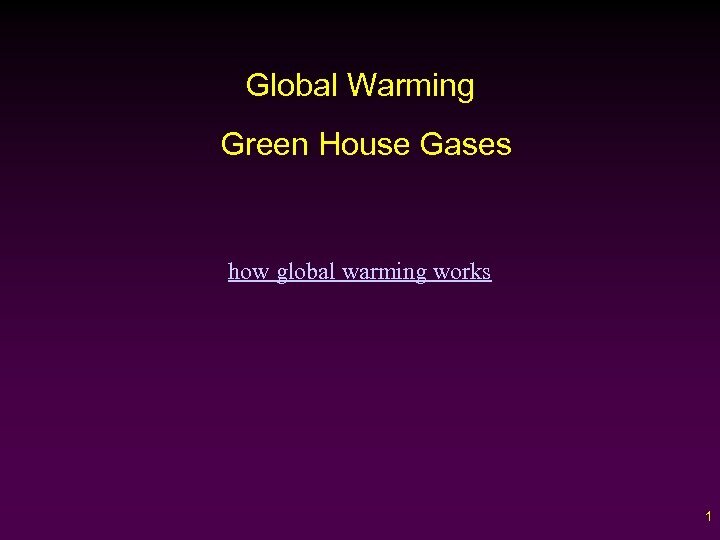 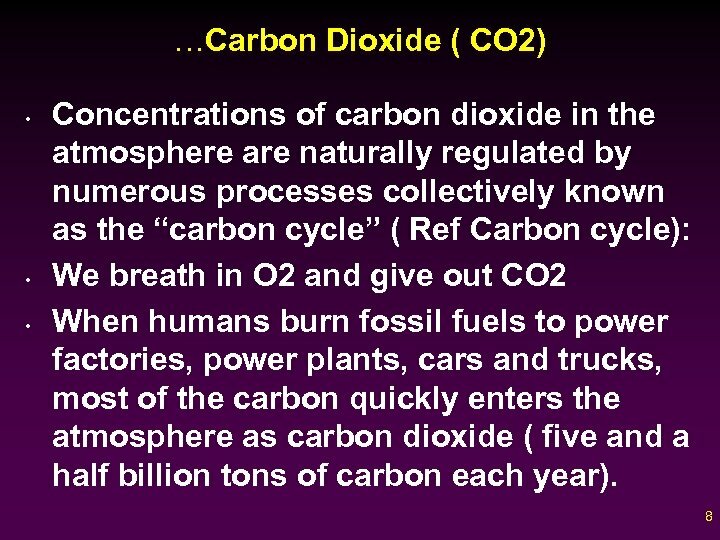 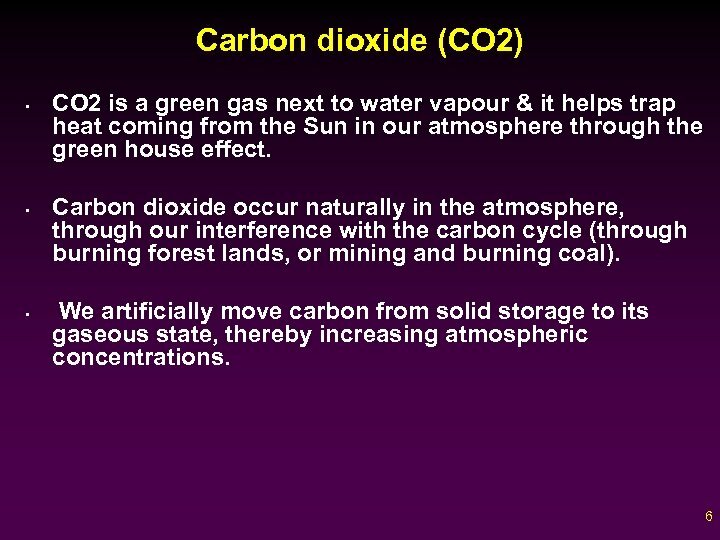 …. . Water Vapour • • Water vapor generates more greenhouse effect on our planet than does any other single gas. 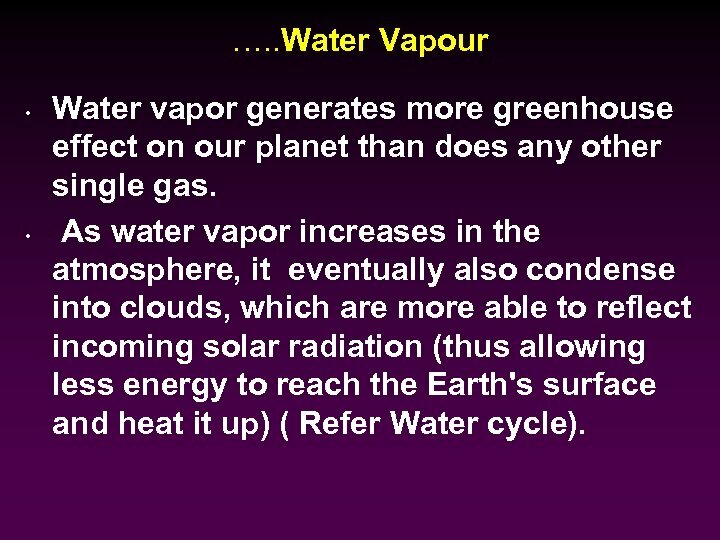 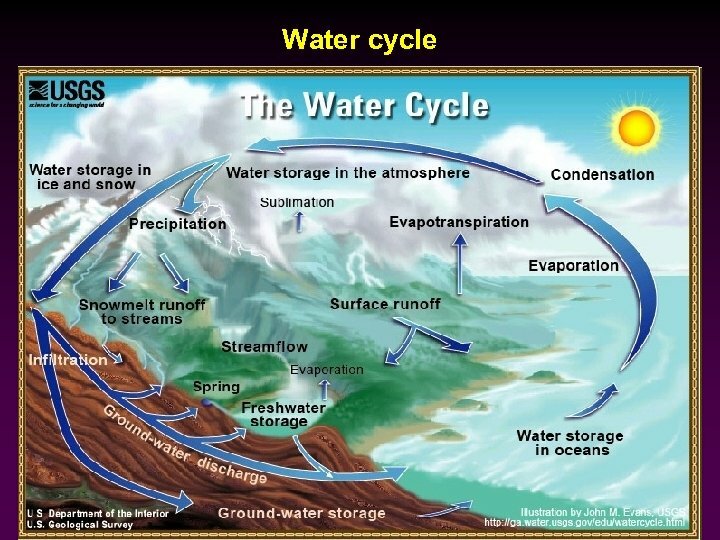 As water vapor increases in the atmosphere, it eventually also condense into clouds, which are more able to reflect incoming solar radiation (thus allowing less energy to reach the Earth's surface and heat it up) ( Refer Water cycle). 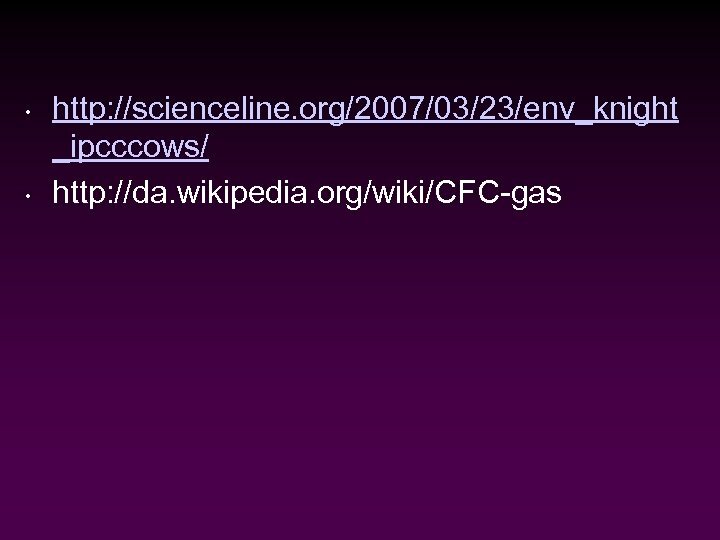 Nitrous oxide • • • Nitrous oxide (N 2 O) is produced by both natural and human-related sources. 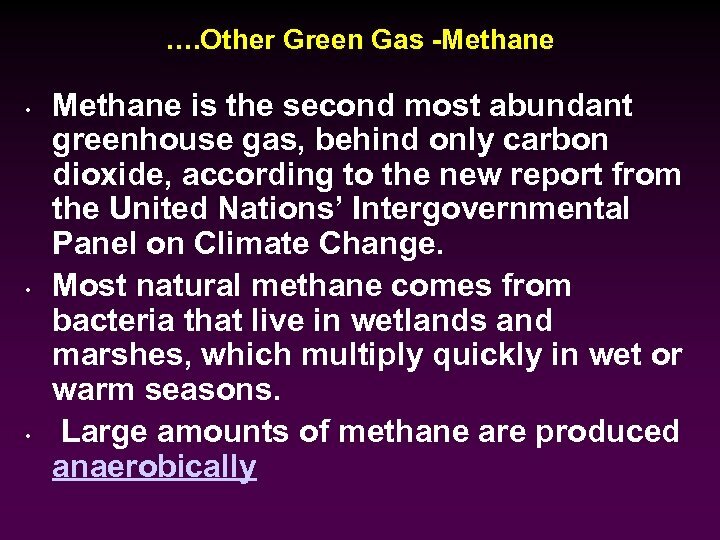 Primary human-related sources of N 2 O are agricultural soil management, animal manure management, sewage treatment, mobile and stationary combustion of fossil fuel, , and nitric acid production. 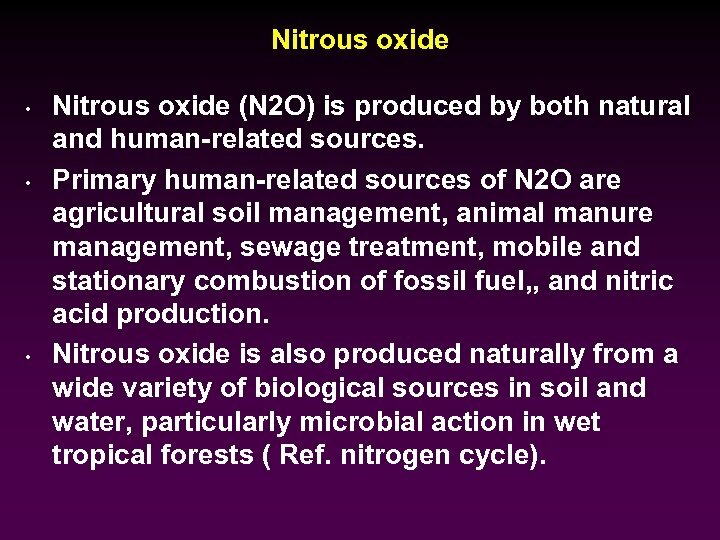 Nitrous oxide is also produced naturally from a wide variety of biological sources in soil and water, particularly microbial action in wet tropical forests ( Ref. 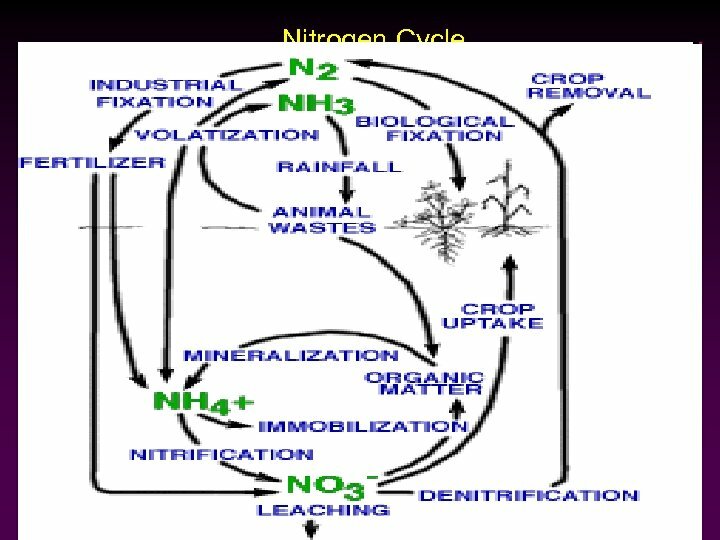 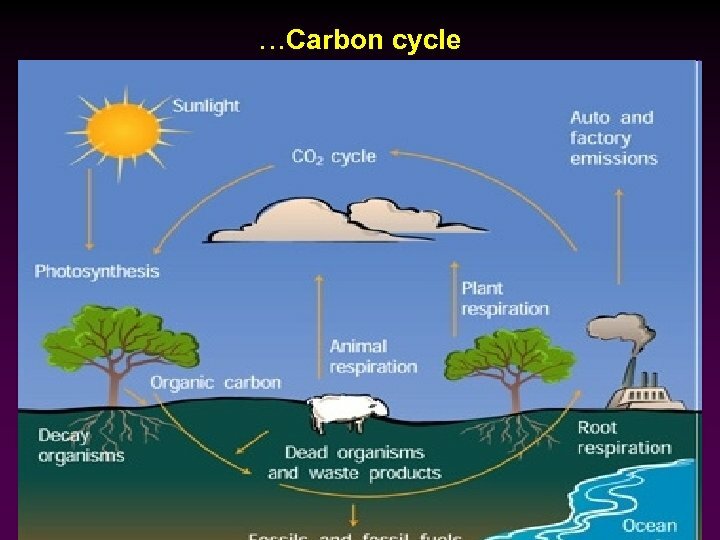 nitrogen cycle). 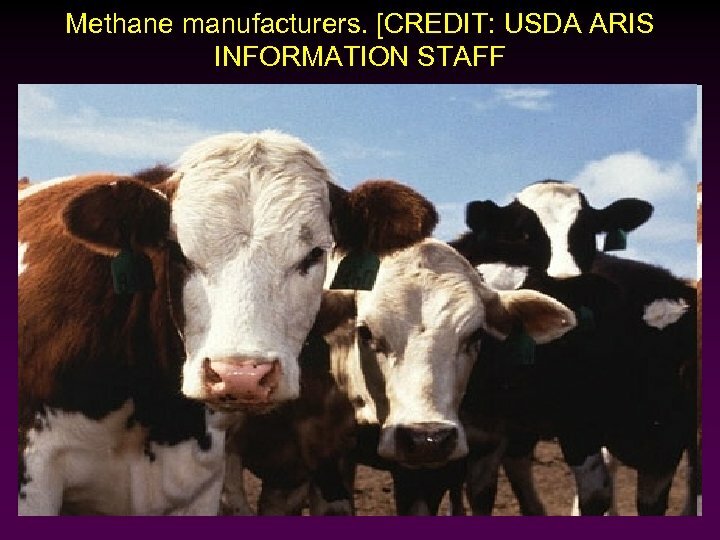 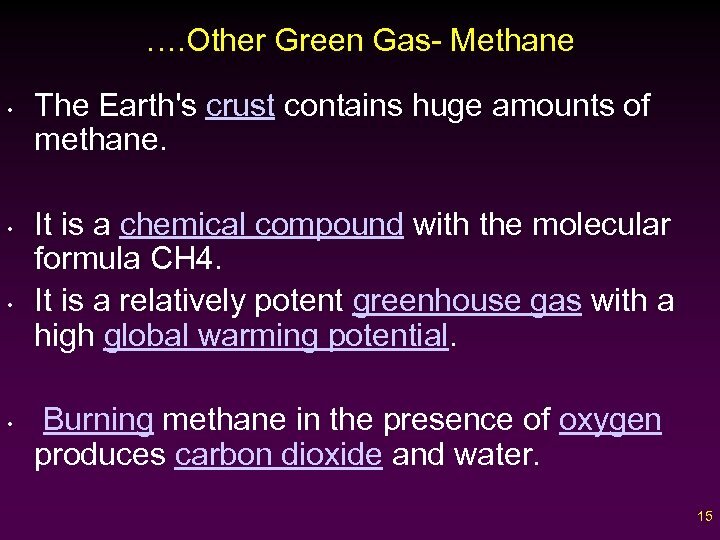 Other Green Gas- Methane • • When most people think of climate change they envision billowing smokestacks, and diesel engines responsible for releasing carbon dioxide into the atmosphere. 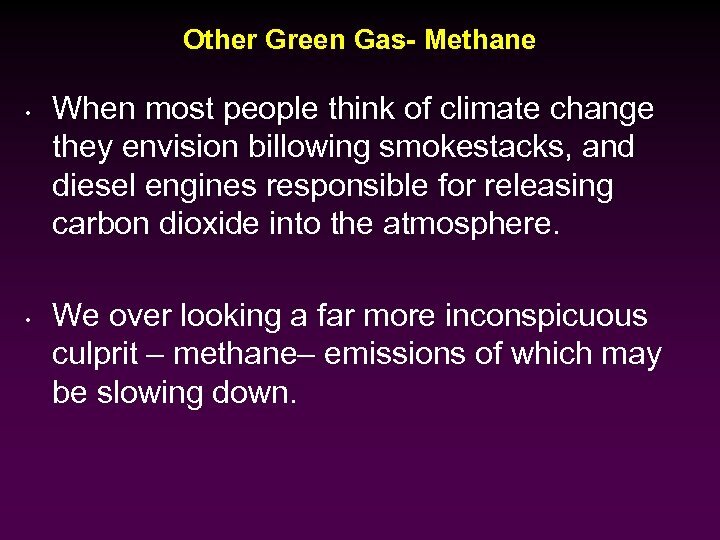 We over looking a far more inconspicuous culprit – methane– emissions of which may be slowing down. 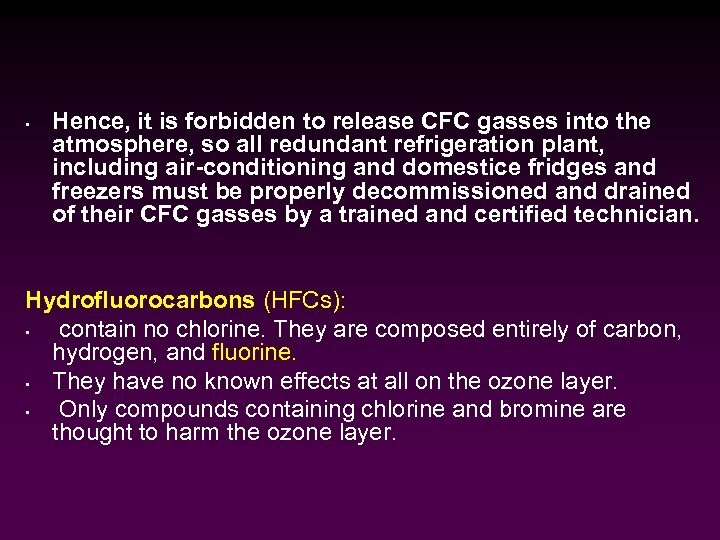 • Hence, it is forbidden to release CFC gasses into the atmosphere, so all redundant refrigeration plant, including air-conditioning and domestice fridges and freezers must be properly decommissioned and drained of their CFC gasses by a trained and certified technician. 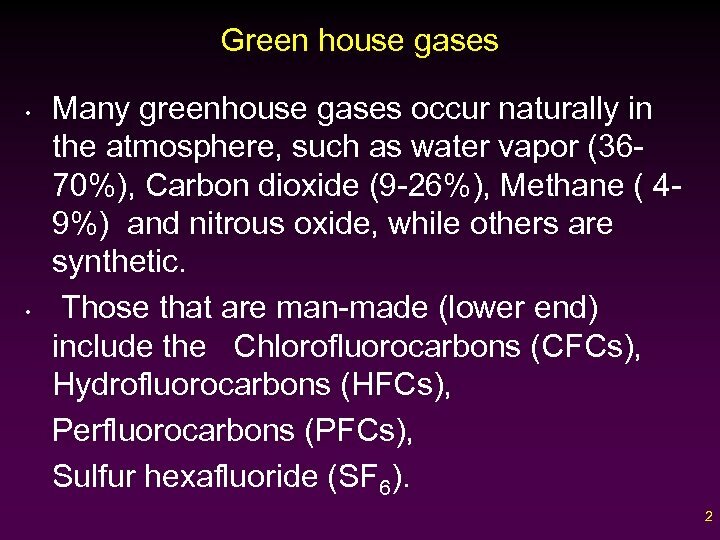 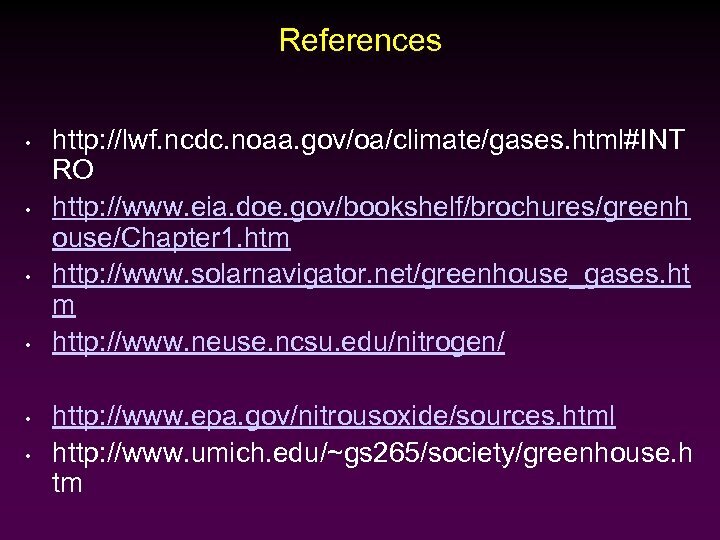 Hydrofluorocarbons (HFCs): • contain no chlorine. 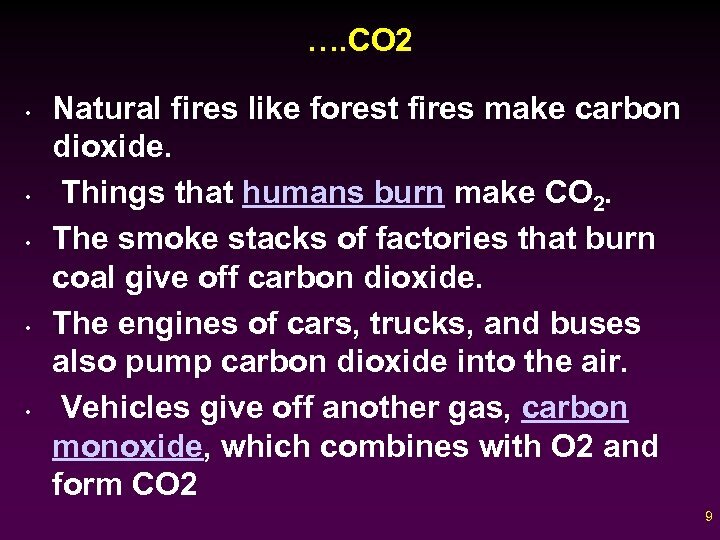 They are composed entirely of carbon, hydrogen, and fluorine. 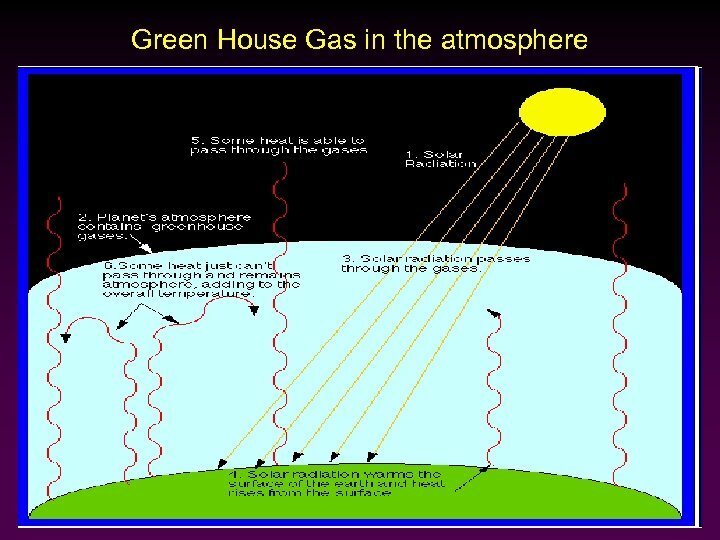 • They have no known effects at all on the ozone layer. 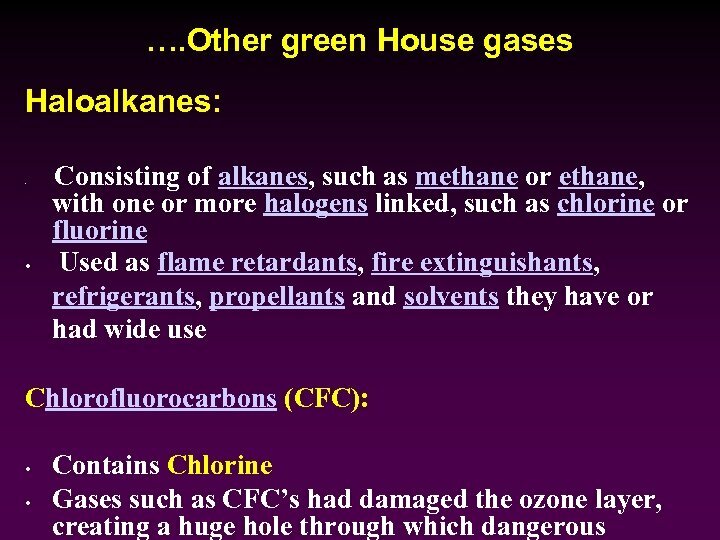 • Only compounds containing chlorine and bromine are thought to harm the ozone layer.